Did you know that 2/3 of all adults suffer from low back pain and discomfort? Golden does. If you’re like most adults, spending your day sitting at a desk, in a car, on an airplane, or standing for extended periods of time, your lumbar region would benefit from a good stretch at the end of the day. 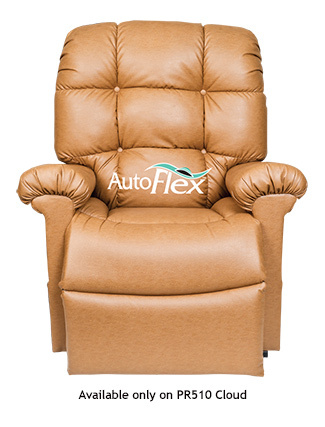 That is why Golden is proud to introduce the dynamic AutoFlex™ power lumbar system for the Cloud lift chair to slowly and gently stretch the spine and surrounding muscles in the lower back area.